Car accidents are the leading causes of injuries and deaths in the U.S. according to the Centers for Disease Control. Many drivers understand the immense responsibility they take on when they get behind the wheel. However, some drivers fail to take the task seriously, with tragic results. Drinking, texting, fatigued driving, speeding, and breaking the rules of the road all lead to millions of car accidents every year. If you’ve been injured in a car accident due to another driver’s negligence or neglect, you may be entitled to receive a recovery for your medical expenses, lost wages, and pain and suffering. A qualified car accident attorney in Grand Rapids, Michigan may be able to assist you. Christopher Trainor & Associates are auto accident attorneys who can use the law to protect you and your loved ones. If you’ve been in a car accident in Grand Rapids, there are several legal considerations you’ll likely have to make. You will need to report your accident to the police and insurance provider. If you were involved in an accident that resulted due to another driver’s negligence, you may consider suing the other driver. Negotiating legal concerns while also recovering from a serious injury can be challenging. The good news is that you don’t have to do it alone. A car accident lawyer in Grand Rapids can help. Speaking to Insurance Adjusters. 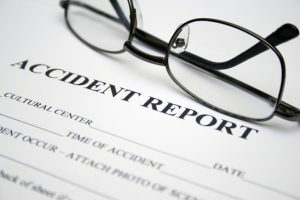 Not all accident victims know how insurance companies determine settlements. Adjusters sometimes use software that may provide a lower initial estimate. If you are being offered an amount that doesn’t cover your full medical expenses and property damage amounts, contact an auto accident attorney in Grand Rapids. A lawyer can review your policy and speak to adjusters to determine how they are arriving at their figures. Placing a Value on Your Case. Every auto accident case is unique. In some cases, accident victims and their families may be entitled to receive compensation for future medical expenses and lost wages. Other times, victims of serious injury may be entitled to sue for pain and suffering damages. A qualified Grand Rapids auto accident lawyer can use formulas to determine a fair and reasonable settlement for your case. It is important to know what you deserve, so that you can seek it either inside or outside of court. Pursuing Negligent Parties. Insurance may not cover all your expenses and may not pay for pain and suffering losses. In some cases, you may have the right to seek a recovery from the negligent driver responsible for your accident. Christopher Trainor & Associates is an auto accident lawyer who can look over the facts of your case to determine whether negligence may be a factor. If this is the case, we can help you fight for the recovery you may deserve. A qualified Grand Rapids car accident attorney is one who will review every detail of your case. They will dedicate their time and energy so you can see the recovery you expect. Christopher Trainor & Associates Grand Rapids lawyers can help you on the path through the legal process. Contact us today for a free evaluation of your case.